The building science professionals at Clark Seif Clark identify and resolve airborne exposure concerns for occupants in all types of buildings. Not only can air ducts be a source of IAQ problems, but also, they can act as both active and passive distribution systems spreading unwanted particles and gasses from impacted parts of the structure into unaffected areas. Air ducts are a critical component of a building’s HVAC system. They deliver ventilation and a path for warm or cool air to provide a pleasant indoor environment for building occupants in homes, schools and commercial buildings. 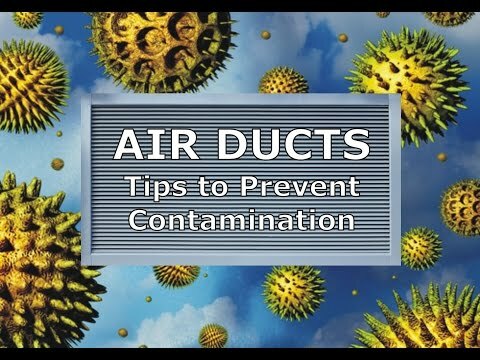 If air ducts become dirty and contaminated, they not only won’t operate efficiently and could be causing indoor air quality (IAQ) concerns. This increases energy costs and could very likely lead to respiratory issues for people living or working in the building. During construction or renovation work that produces dust indoors, seal off supply and return registers, and do not operate the heating and cooling system until after cleaning up the dust. Pay particular attention to cooling coils, which are designed to remove water from the air and can be a major source of moisture contamination of the system that can lead to mold growth. Also make sure the condensate pan drains properly. Make sure ducts are properly sealed and insulated in all non-air-conditioned spaces. To learn more about this or other indoor air quality, industrial hygiene, environmental, health and safety testing services, please visit www.csceng.com, email csc@csceng.com or call (800) 807-1118.